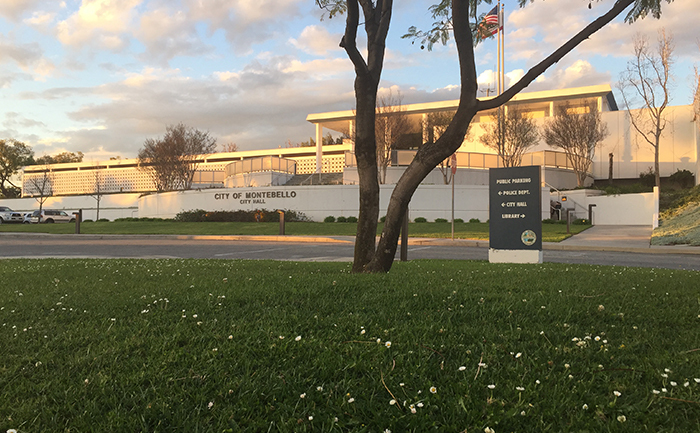 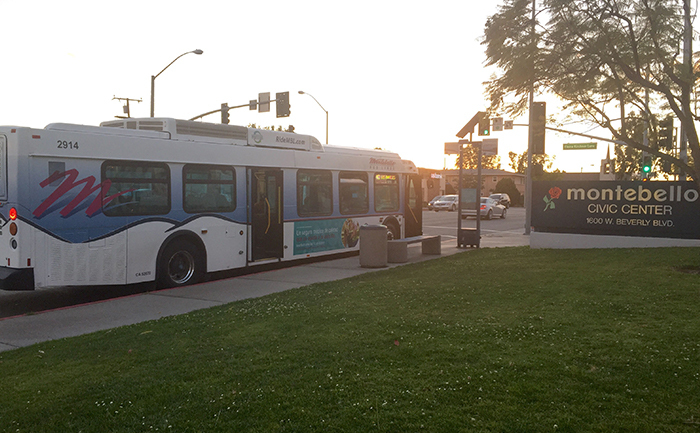 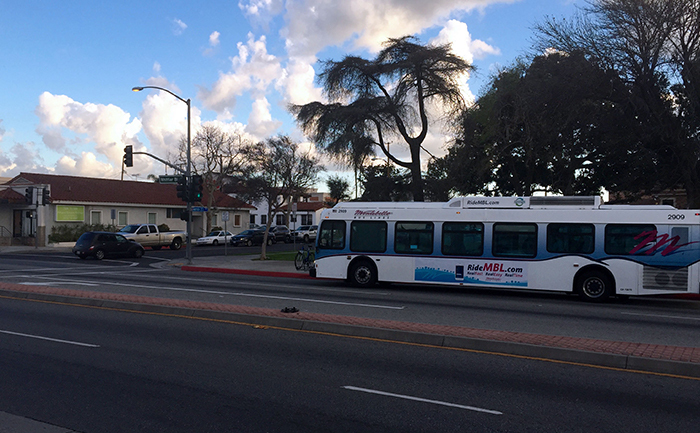 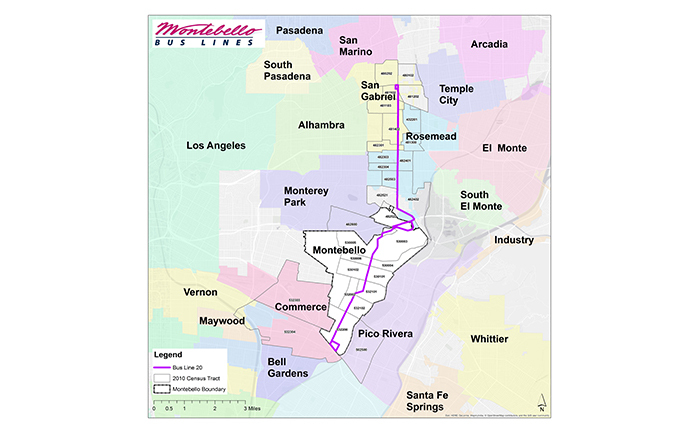 EBA has partnered with Diversified Transportation Solutions and Jeremy Bailey Consulting to provide the City of Montebello with Geographic Information System (GIS) mapping to improve bus line routes, while accounting for demographic changes and census data changes, such as median income, population density and zero vehicle households. 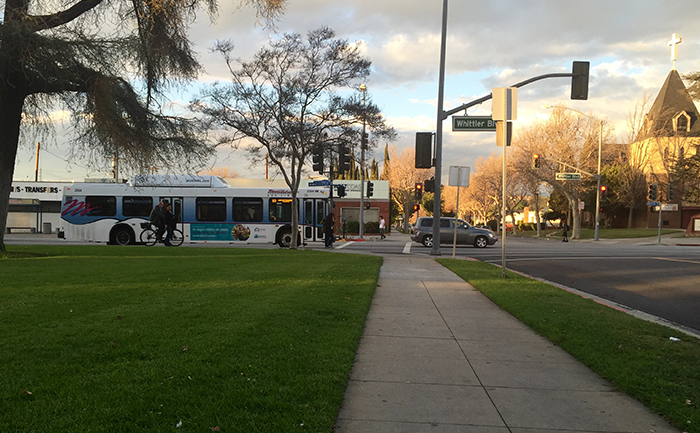 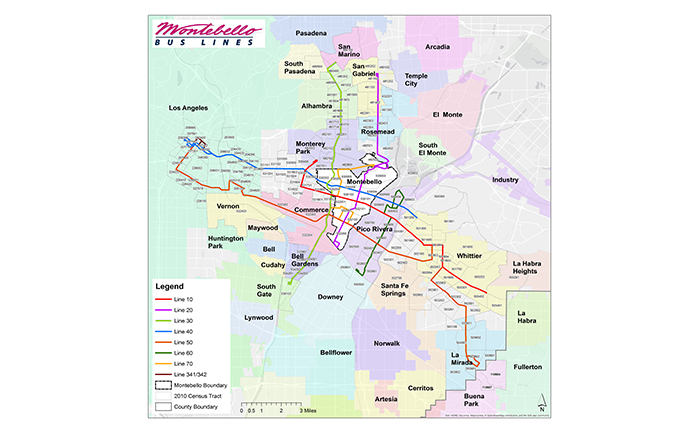 Based on these maps and subsequent analysis, EBA is tasked to create bus route change proposal maps to enhance the efficiency of the city’s current transportation system, as well as language maps by census tract to explain the new routes to all of Montebello’s current transit users. 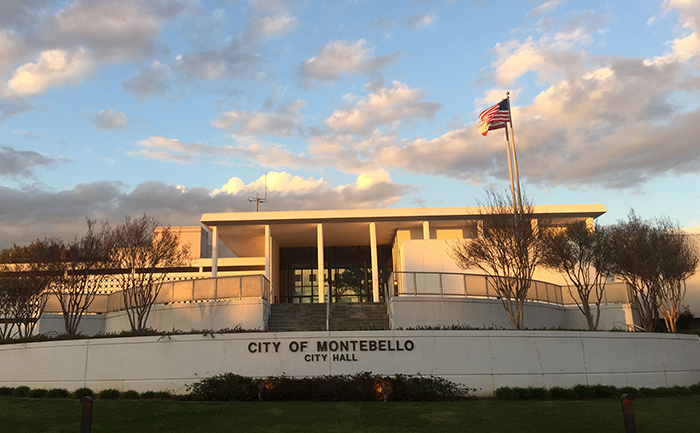 The project’s projected end date is May 2015.